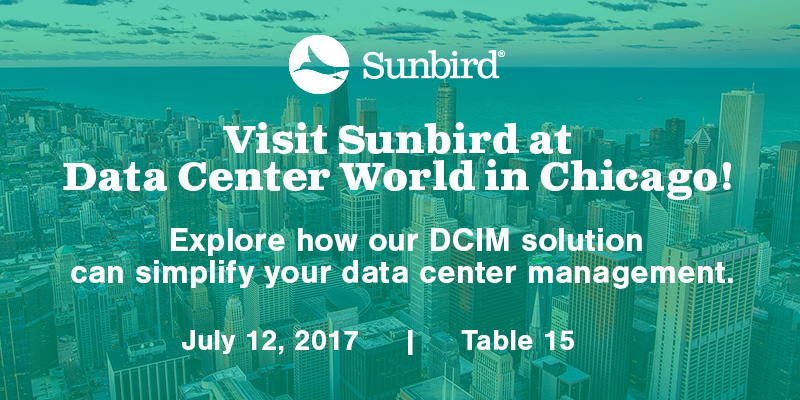 Sunbird is excited to be attending Data Center World Local in Chicago, Illinois on July 12, 2017, at The Art Institue of Chicago. Come by Table 15 to meet with our data center experts and get a demo of our award-winning Data Center Infrastructure Management (DCIM) solution. This event brings together over 150 of you peers in the data center industry in your local area. Connect with your peers in real-world conversations and gain insight and education that you can use in your environment today. Get in-depth sessions across a broad range of topics like IT operations, facilities operations, data center topics, and security and disaster recovery. Heading to Data Center World Local in Chicago and want to chat one-on-one with a DCIM expert? Our local Sunbird representatives will be available for meetings. Contact us if you'd like to meet.